In eukaryotic cells, the broken DNA is typically repaired by one of the two repair pathways: non-homologous end-joining (NHEJ) and homology directed repair (HDR). The NHEJ pathway is error-prone and can thus leads to mutations. The HR pathway utilizes a homologous DNA template for repair and allows precise DNA modifications such as gene replacement. 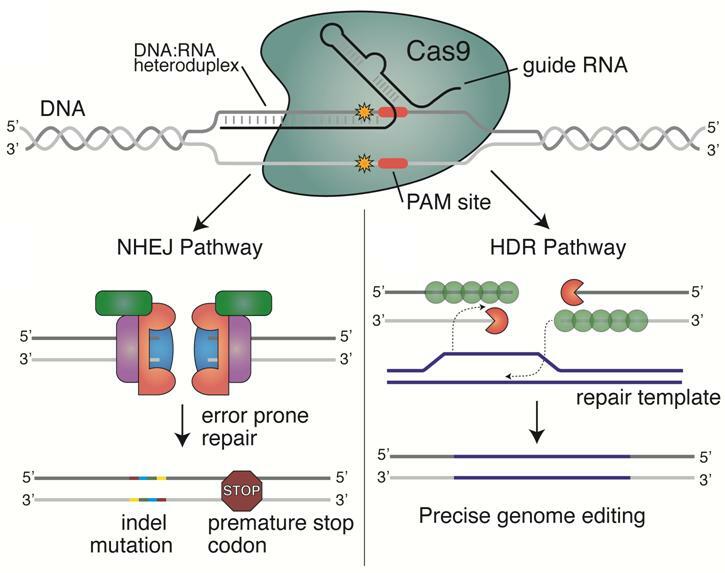 With "DNA scissors" that can induce DNA double strand breaks (DSBs) in a sequence specific manner, targeted mutagenesis (through NHEJ) or gene replacement (through HDR) can be achieved. In the past, it was very difficult to engineer such customizable "DNA scissors" which are site-specific nucleases. However, recent rapid technology advancement has made multiple types of site-specific nucleases available. They are Zinc Finger Nuclease (ZFN), Transcription Activator-like Effector Nuclease (TALEN), CRISPR-CAS9 and CRISPR-Cpf1. We are interested in developing and improving genome editing systems for easy adoption by other researchers. A major focus is to enhance the frequency of HDR in plant cells. The genome editing tool systems will be demonstrated as new breeding tools in major crops such as Camelina, rice, maize, soybean and wheat through close collaboration with others. Transcriptional programing and reprograming are essential to plant growth and development as well as the responses to biotic and abiotic stress. Our understanding of plant transcriptomes has been greatly boosted with transcription profiling technologies such as microarrays and RNA-seq. We are now entering into the next exciting phase which is to fine-tune plant transcriptomes for desired outcomes. 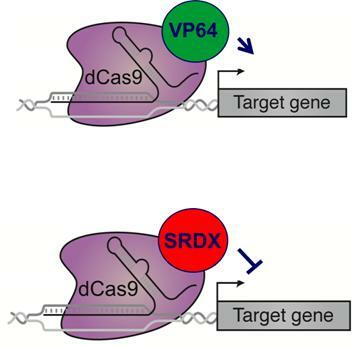 By repurposing genome editing tools such as CRISPR-Cas9 and CRISPR-Cpf1, we can engineer gene specific transcriptional activators and repressors. We are developing multiplexed transcriptional regulation systems which allow scientists to simultaneously regulate expression of many genes in plant cells. These tool systems will be useful to perturb transcription networks in basic research as well as to aid metabolic engineering in plants. We are also interested in using artificial transcriptional factors to engineer synthetic stress responses as well as to build genetic circuits or toggle switches in plant cells. Despite relatively successful disease control (mainly through chemicals which are not environmentally friendly), plant disease still causes a significant yield loss in crops globally. The mechanisms for plant disease resistance or innate immunity can be generally divided into two types. The first type is constitutive resistance which is based on pre-formed structures and compounds (such as cuticles, trichomes, cell wall, antimicrobial chemicals, proteins, etc.). The second type is inducible resistance, which often involves strengthening the first type of resistance as well as producing other effective chemicals and proteins upon pathogen attack. 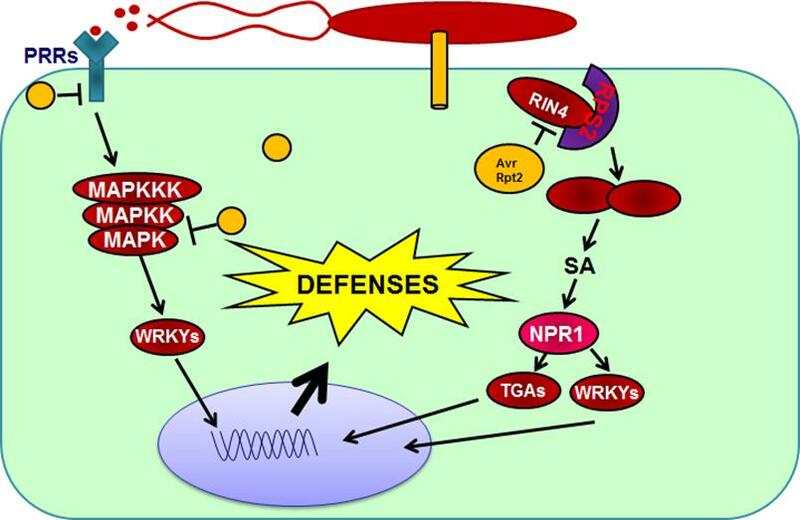 The inducible disease resistance relies on two types of plant immune receptors: resistance (R) proteins (often encoded by NB-LRR genes) and pattern-recognition receptors (PRRs) (often encoded by receptor-like kinase (RLK) genes). We are interested in engineering synthetic plant immunity by engineering immune receptor genes with genome editing and rewiring plant defense responses with transcriptome editing.